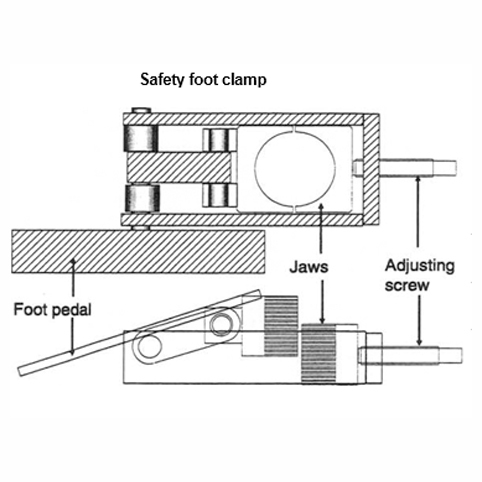 The Safety Foot Clamp is simple to operate, and is available with interchangeable jaws to suit drill rods up to 3-1/2″ (88.9 mm) diameter. 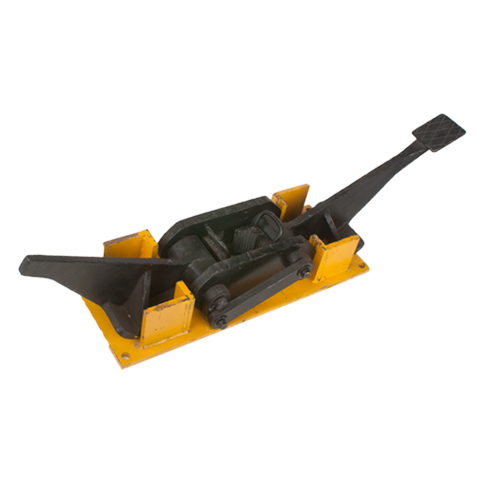 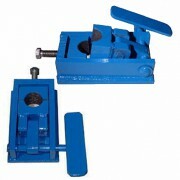 The clamp is operated by a foot pedal which lifts one half of the jaws when pressed. 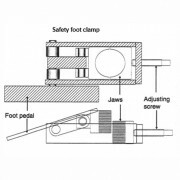 When the pedal is released, the jaws automatically clamp against the rod. An adjusting screw allows the tension on the jaws to be varied. 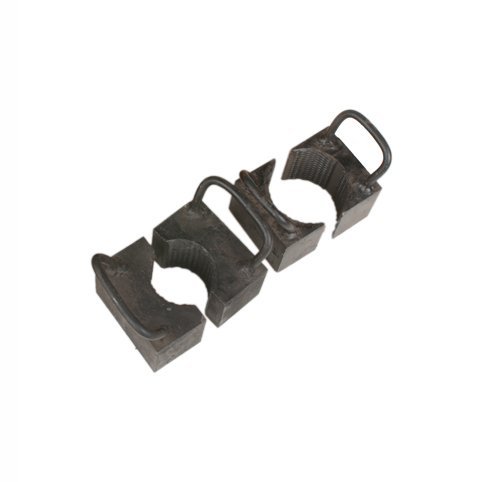 The jaws are manufactured from case-hardened steel and have a large grip area to prevent damage to thin-wall drill tubes.